June 27 , by Barbe Saint John. 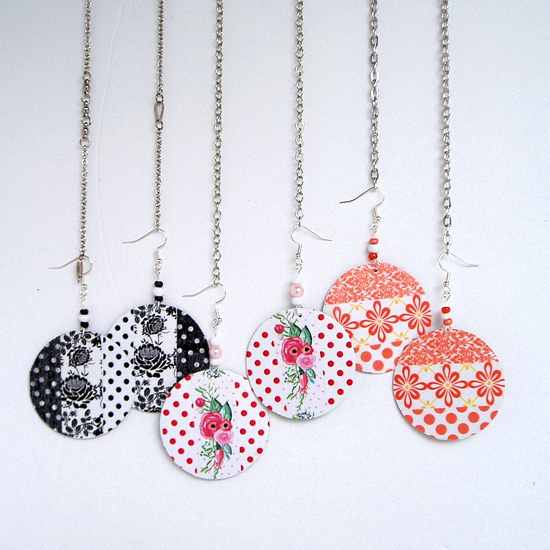 Washi Tape is so fun to use and these earrings fly together with a minimum amount of supplies. What a great way to use Washi tape! Perfect project for tweens or teens who want to make their own Jewelry. See the full Jewelry making tutorial here.